Last week was eventful for the Year 7’s: All groups visited the Filmhuis here in The Hague. The visit was led by professional film and media trainers. During the visit, students got a short lecture on the techniques that were used in the movies to create a particular atmosphere. This was followed by a short introduction to the film we watched “Queen of Niendorf”. 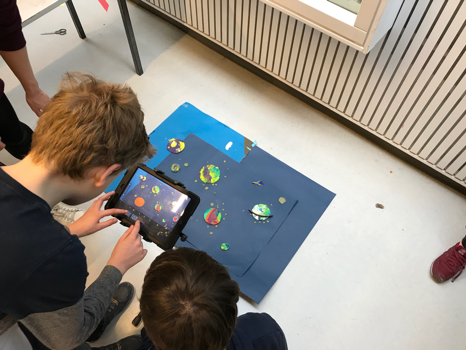 After lunch, the students got an opportunity to make animations using stop motion, music and other techniques. We debuted the student films at the cinema and that was a great experience. The Filmhuis staff were impressed with the creativity, collaboration, and the great behaviour of the students. Have a look at a video that was made by a group of our students. 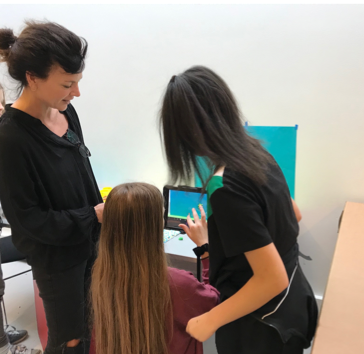 In addition to the Filmhuis, students had a Rock and Water sessions with Mr Tim Smeets and Mrs Annabelle van Nieuwkoop-Read. These sessions were enjoyable but also very educational for the students.